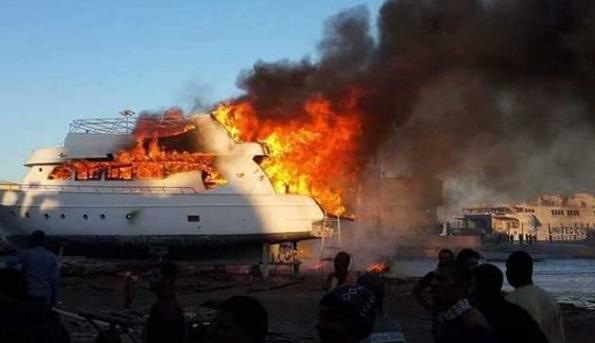 Hassan al-Tayeb, head of the Maritime Rescue Association in the Red Sea, rescued 22 tourists who were on board the Blue Dolphin tourist boat where a huge fire broke out, in the Sahl Hasheesh area south of Hurghada, he said on Tuesday. The tourists in addition to crew members were rescued from the boat, he added. All the tourists are fine and there were no casualties among them, Tayeb mentioned. The Association dispatched its rescue boat to the fire site to participate in the extinguishing operation, Tayeb added. 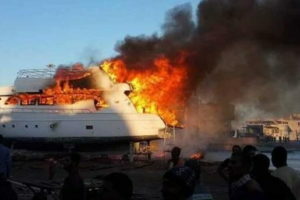 The Maritime Rescue Association in Hurghada received a notification about the fire from police. Heavy smoke and fire were seen at the site of the incident.